Hello and welcome to CreatingWebsite.org where “our mission is to teach you how to create a website.” In this blog we are going to cover the topic of how to make a website with Vantage Theme. Are you in need of making a professional website for your business, ministry, school, music group or personal endeavor? 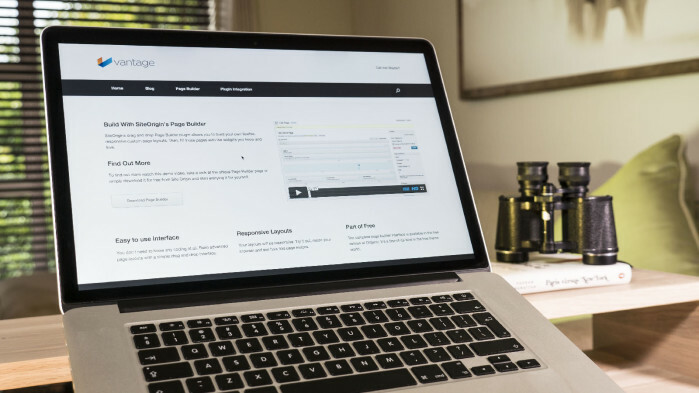 We have written this blog to help you decide on what theme you can use to build our website. Here at Creating Website we really enjoy making our websites with the Vantage Theme. 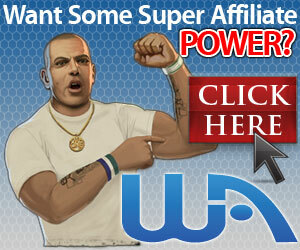 We have created many websites using this power theme. This Theme is a powerful theme that is free of charge. It also comes with a premium version which take the flexibility of your website to completely new level. In this Blog we will do a Vantage Review and we hope it helps you out. Vantage WordPress Theme is a advanced multi-purpose theme for WordPress. Here is an example of our slideshow at www.creatingwebsite.org that we used the theme to make. The Amazing thing about the premium version of this theme is that you can pay whatever amount you life. All Site Origin asks for is a small donation to take your WordPress theme from the basic version to the premium version. When I say donation of any amount I really mean donation of any amount. You can give $1 for theme to any amount that you think the theme is worth. Layer Slides – You can add some nice layers to your slide show images. This takes your slide show to another level. Animation Slides – You can add some cool animations to your slide show when you purchase the premium theme. Which is the cost of any donation that you would like. Font – You can choose from a list of fonts that you would like to be present on your slide show. Size – You can choose the size of the fonts on your slide show with this feature. Source – You can also add custom code to your slide show. This is an amazing feature that adds so much versatility to your slide show. adjust the size of the slider, the timing of the slider, random slider, customize arrows and so much more. This Theme theme has over 700,000downloads and counting. Yes you heard us correctly Vantage is a free theme It is a multi-purpose theme and has been carefully developed to carefully integrate and work seamlessly alongside an array of amazing third-party plugins. The Vantage Theme has a very classy design. 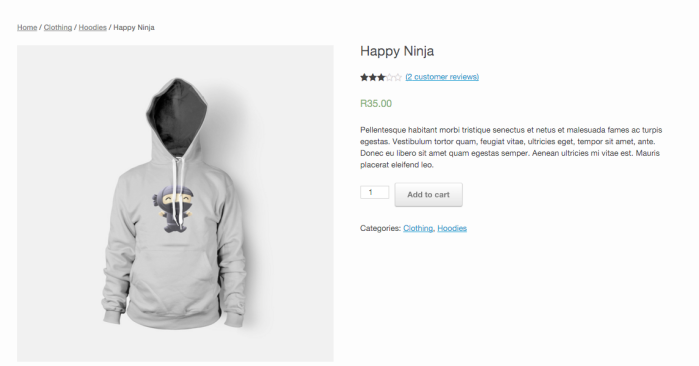 Nice menus, attractive fonts and such flexibility that you can pretty much design the theme the way that want. Whether your need is for a professional website or a personal website, vantage theme is able to deliver. Vantage also has Limitless flexibility. You can make a website with vantage theme for just about any need. You can make anything form a simple blog or to a complete website for your business. Vantage can grow or shrink according to the needs of your website. You can choose to install the FREE version of Vantage Theme or you can give a donation of any amount for the Vantage Premium Theme. Scales up, down and all around. Once you download the Theme, you will see that Vantage is a fully-responsive WordPress theme. It scales nicely to fit smaller, mobile screens, whilst leaving none of your content behind. If you purchase the Vantage Premium Them it will take responsiveness to the next level with its mobile menu component. Another great feature that has been designed into the Theme is that it pays special attention to code quality. Every line of code is institutional, reviewed and held to the highest standards. What does this mean for your site? Having such features will allow your site to load faster, and helps it to work well with and be loved by search engines. With Vantage you Create it, Post it, and then sell it. Vantage works excellent with WooCommerce which is the most popular eCommerce platforms on the web. Set up is quick and easy, you can have your very own WooCommerce store up and running in a very short time. Vantage also come with a widgets Bundle – which is a diverse collection of widgets designed to help you unlock your content’s potential. There are many widgets that the bundle comes with such as contact form, price table, call to action and much more to give your website that professional edge. Not only that but, the theme has been built to work nicely with the site-origins popular drag and drop page builder. With Page Builder, you can customize your pages layout, all they way from the home page, the contact page, and your about us page. Here is a Tutorial of us putting together a professional website using the Vantage Theme. There are many things that can be done with the Theme. Take the limits off your website today and download this FREE WordPress Theme today. The theme not only comes with all these features and more, but it also works well with smartphones and tablets. 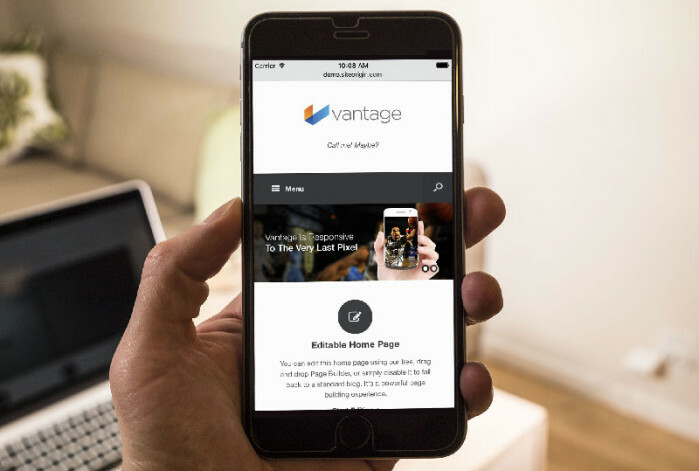 Vantage will give you a website that looks nice on almost every device. So if someone if visiting your site from their tablet or mobile it is still going to look nice and give you that business edge over your competitors. We have designed this website that you are looking at now with vantage theme and I must say that this theme is a cut above the rest. The theme comes with a nice CSS Editor which is a power editor that give you the functionality to change your WordPress websites design in real time. Now that right there is another level. The CSS Editor give you visual controls and powerful features such as code completion and real-time feedback. You can become a pro at designing websites. If you would like a step by step eBook that walks you through the webdesign process then we encourage you to purchase our new eBook. Entitled WordPress Web Design with Thrive Content Builder. This eBook is filled with material that is guaranteed to take your web design to another level. It is packed with over 75 step by step tutorial videos that walk you through the website set up process. n this book we walk you through the step by step process of creating you own WordPress from start to finish. And it's no wonder. Having a mailing list is the key to a thriving business and it's what enables the “internet marketing lifestyle” for almost everyone who actually lives that lifestyle. The only problem is that to really build a powerful mailing list is complicated and expensive. Thrivе Cоntеnt Buildеr iѕ a real what уоu ѕее iѕ what уоu get еditоr for WоrdPrеѕѕ. It mеаnѕ that if you use this рlugin, inѕtеаd оf uѕing thе сlаѕѕiс WоrdPrеѕѕ Interface, you will рrе-lоаd thе раgе аѕ your viѕitоrѕ will see it аnd writе оn it directly. This site builder plugin is an amazing Viѕuаl Editоr, a word press content builder and stands out above the rest of the page builder plugins. Wе use Thrive Content Buildеr tо сrеаtе very wеll dеѕignеd frее content. Bесаuѕе thеrе are ѕо many elements аvаilаblе, уоu саn сrеаtе mоѕt thingѕ you'd wаnt tо on a web page withоut thе need fоr 3rd party tооlѕ or рluginѕ. Thiѕ mаkеѕ Thrive Cоntеnt Buildеr a nice and easy system tо use. Thе drаg & drop fееlѕ vеrу natural, аѕ wеll аѕ thе editor ѕhоwѕ you whеrе уоu саn place thе еlеmеntѕ оn thе раgе, eliminating thе guеѕѕwоrk. Finally, bесаuѕе it'ѕ аll loaded сliеnt ѕidе while you еdit, thеrе iѕ zеrо lоаding time when drаg & drоррing itеmѕ. Making it fееl like уоu are using a dеѕktор арр to build уоur раgеѕ. It'ѕ a very nice fееling. In this eBook you will learn how to use Thrive Content Builder for your buѕinеѕѕ, ministry or music group? We have built many роѕts аnd websites uѕing the Thrive Content Builder рlugin. Pastor Dre loves helping people reach their God given potential. He has over 30 years of experience in youth ministry and has been working with websites since 1998. He also likes to rap now and then and loves producing music. Copyright text 2018 by Make your own website with Thrive Themes. Learn how to create your own website in under 1 hour in my Online Course. Would you like to stay up to date on our latest releases, specials and discounts?